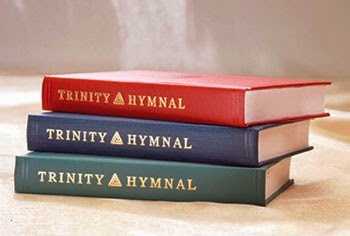 Does your church or family sing hymns together? We are a part of a co-op that used to do this and I really do hope we can try it again. (We lost a family that had half of the male singers and most of the sopranos so it made it a little tricky!) We are gaining a family this next year that has lots of males and a few females too. I hope to continue learning them as we learned them in parts and wow, were they beautiful and meaningful when I did not have to struggle over the tunes! These are two we are singing this Sunday as our church sings hymns each Lord's Day. You can hear the tune here. I love all the lines in this hymn, but the first line should be sung with great joy - Praise to the Lord, the Almighty, the King of creation! Amen and amen! It is hard not to stand in awe of our great God and Savior when you sing this hymn. I sing it loud and am so blessed to be able to praise my Lord in this song. This is a particularly haunting one to me because this one always leaves me in awe of the power of God. His mercy is not earned or owed. We are completely His creation - let all mortal flesh keep silence and with fear and trembling stand. We are Coram Deo - before the face of God. Utterly at His mercy. I see my complete humanity in this hymn - how it is all of Him and none of me. He deserves praise and honor from my lips and from all life. This is, I have come to realize over time, why we sing the hymns we do. It is not that I think you can't find the glory of God in a praise song because scripture says to worship God in Psalms, hymns, and spiritual songs. There are some newer spiritual songs I wish our church would sing, but these two hymns reach my heart. They help me to see the God of heaven for Who He really is--in His majesty and power, and how very much I need Him. One of our co-op families used to host a pitch-in supper once a month and afterwords we would learn hymns in 4-part harmony. I loved those songs. Recently, my mom an I attended a "shaped-note" sing in an old country church. See if you can find one in your area--they're great! Thanks, ladies! I have never heard of a "shaped-note" sing! I am going to have to find out what that is! I love hymns! These two I've never heard so I'll have to use your link to listen...thanks!